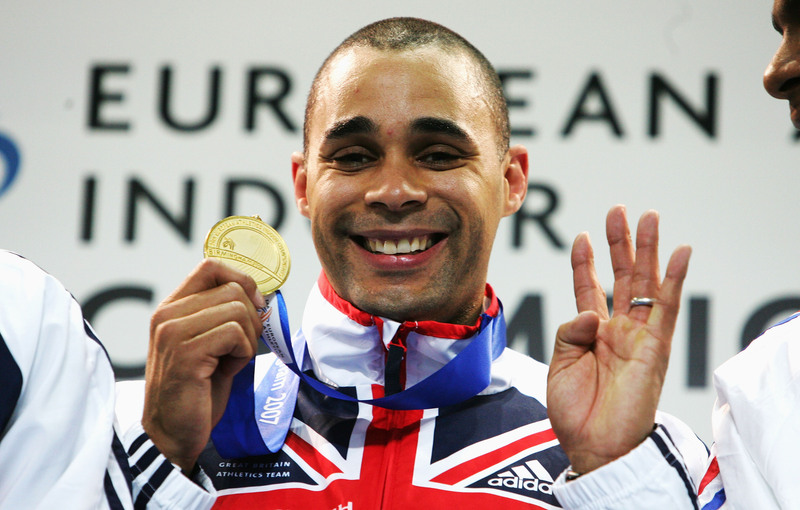 Jason Gardener might be best known as the man who ran the opening leg as Great Britain who took home Olympic gold in the 4x100m relay in Athens. But anyone who had kept an eye on the European Athletics Indoor Championships since the late 1990s would know he was destined for greatness. Gardener, known as the Bath Bullet, was an expert in explosive starts – making him a specialist over shorter sprint distances. 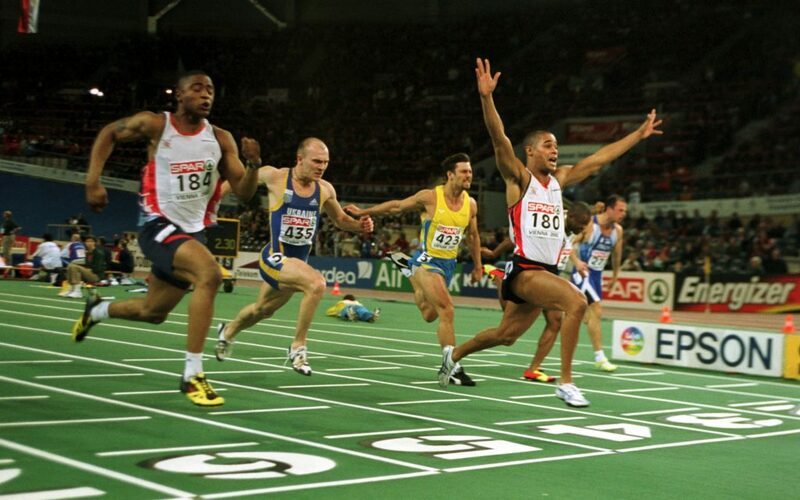 And so it proved, going on to win the European Indoor 60m title at four consecutive championships between 2000 and 2007. 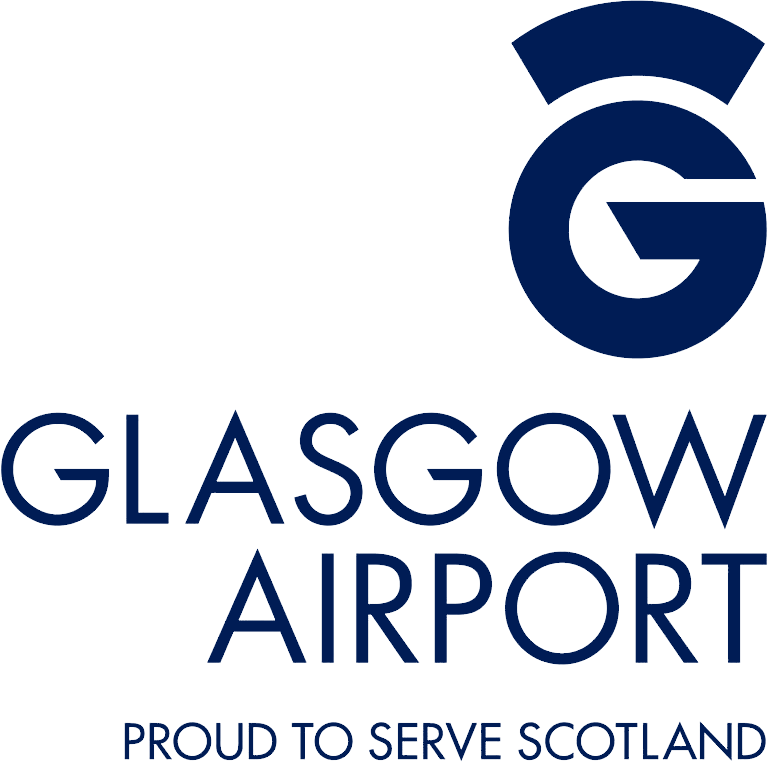 Gardener first appeared in the competition in 1996, as he narrowly missed out on a place in the men’s 60m semi-finals in Stockholm. Two years later he would show his development as he took home the silver medal in the same event in Valencia. But he was always after more. 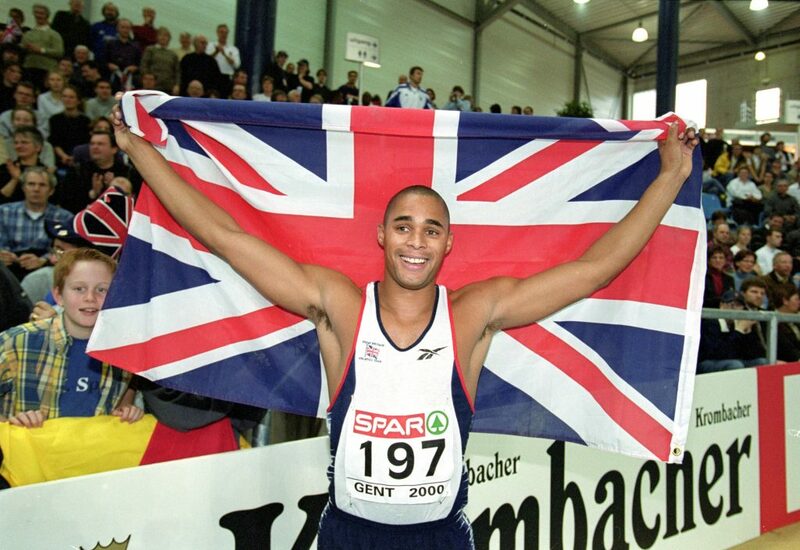 Gardener got his first taste of senior outdoor medals at the World Championships in Helsinki in 1999, winning silver as part of the British quartet in the 4x100m. When the European Indoor Championships came around again in 2000, this time in Ghent, Belgium, he took his chance to grab his first gold. Gardener topped the podium ahead of Greek duo Yeóryios Theodorídis and Ággelos Pavlakákis as he finished in 6.49s, just 0.02s ahead of his nearest challengers. Despite starting his season in style, Gardener would later struggle with injury during the summer season. It hampered his preparation for the 100m at the Olympics in Sydney, where he would win his opening heat but was knocked out in the second round. He was forced to watch from the stands as Dwain Chambers and Darren Campbell represented Team GB in the final but both failed to medal. Two years later there was more glory at the European Indoor Championships as Gardener again ran 6.49s to take home the title in Wien. It was a British one-two with Mark Lewis-Francis grabbing the silver. A year later Gardener would win silver in the 60m at the World Indoor Championships – as he finished behind USA’s Justin Gatlin and St Kitts and Nevis’ Kim Collins in the final in front of a home crowd in Birmingham. It would set him up for the Olympic triumph alongside Campbell, Lewis-Francis and Marlon Devonish in 2004 as they upset the odds to beat the US four by 0.01s at the Athens Olympic Stadium. Gardener would collect another European indoor gold medal a year later in Madrid. He showed he was truly the man to beat over 60m on the European circuit as he beat France’s Ronald Pognon and Kostyantyn Vasyukov, from Ukraine, to the top of the podium. 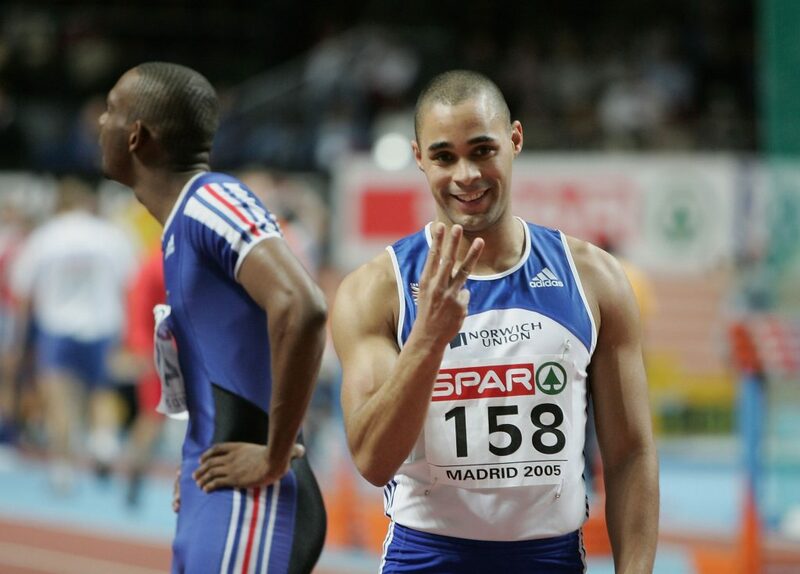 Two years later he became only the third man to win four successive European indoor sprint titles as he won the 60m again. The sprinter helped the Great Britain team top the medals table in front of their home crowd in Birmingham, finishing top of the standings for the first time since 1989. He ran a season’s best 6.51s as he came across the line, with teammate Craig Pickering running 6.59s to take home the silver. It would end up being one of his last appearances for his country at a major event. Gardener suffered injury problems during the outdoor season in 2007 and decided to step away from the sport following the London Grand Prix at Crystal Palace in August. 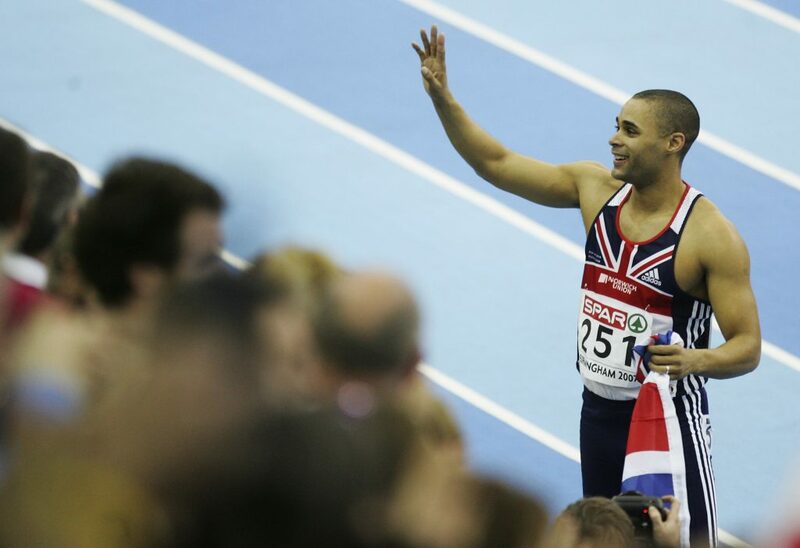 Away from the track he now works as a motivation speaker and is the president of UK Athletics.